So you’re trying to lose weight and you come across this “keto” topic on reddit. Keto? Oh...the ketogenic diet. It’s one way of getting into ketosis. Sure. Everyone in the subreddit swears by it for weight loss, as shown in the abundance of before and after pictures. You’re convinced. So you start to replace your morning cereal with bacon and eggs. You’re cooking everything in coconut oil and ghee. Maybe you’ve fasted for a couple days and consumed nothing except water. You’re pricking your own blood and testing your ketone levels. Voilà! The darned KetoMojo finally says you’re at 0.5 mmol/L! You’re a true keto biohacker. Congratulations! Wait...what does this even mean and WHY are you doing this again? Ketosis benefits. Right. What are they? Looking to get in shape? Following a keto diet turns you into a fat burning machine! What’s more, getting into ketosis can aid in weight loss by crushing those pesky carb cravings. Carbs spike blood sugar and you probably don’t want to ride that blood sugar wave if you’re trying to shed a few pounds. When you are in ketosis, weight loss may be easier due to the reduction in appetite and the effects on appetite control hormones1. These effects can benefit everyone, from bodybuilders and serious fitness enthusiasts to weekend warriors alike. Do you remember what you ate for breakfast on Tuesday? No? Ketosis can help! Some studies show ketone levels can be positively correlated with memory performance in people who display cognitive impairment These findings indicate that very low carbohydrate consumption, even in the short-term, can improve memory function in older adults with increased risk for Alzheimer’s disease2. 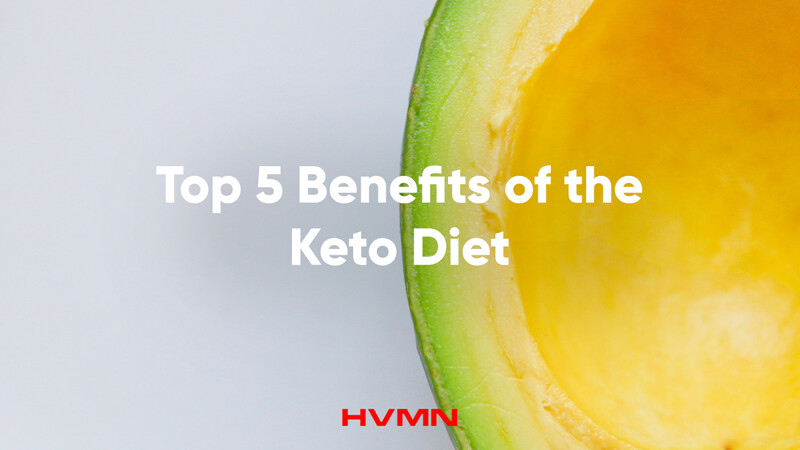 The underlying cause may be because ketosis induces the reduction of inflammation and enhanced energy metabolism, which helps to maintain brain function. Ever feel like you’ve been hit by a train the morning after a tough workout? Recovery is just as important as exercise, and the ketogenic diet can help reduce inflammation and pain. Compared to glucose metabolism, ketone metabolism produces fewer reactive oxygen species - which are known to contribute to inflammation3. The ketogenic diet can even help reduce inflammatory conditions like skin conditions and acne. Various studies have provided evidence that diets that include high-glycemic foods may contribute to the development of acne because they stimulate insulin and insulin-like growth factor-1 (IGF-1) activity. In contrast, diets that have a low glycemic load may improve skin quality4. Alzheimer's disease, cancer, cardiovascular disease, diabetes, high blood pressure, high cholesterol levels, and Parkinson's disease may all be related to chronic inflammation as well. So this sounds great and all, but how did the ketogenic diet come about? Ketogenic diets were notably first used at the Mayo Clinic in the 1920’s to induce ketosis in children, thereby helping to treat their epilepsy. Researchers believe the mechanism of seizure prevention has something to do with the increased stability of neurons and neurotransmitters as well as the up-regulation of brain mitochondria5. Ketosis causes stable blood sugar levels and altered brain chemistry, contributing to improved mood and cognition. Ketosis is awesome for your brain! Obesity and diabetes pervades the American population more than it ever has. Insulin resistance is the primary feature underlying type 2 diabetes, but it also exists in the general population. A person with insulin resistance will contribute a greater amount of carbohydrate to the liver where much of it is converted to fat, as opposed to being used for energy in the muscle. The ketogenic diet can help improve glucose control not only because there is less glucose coming in from food, but also because insulin sensitivity improves4. Great news for diabetics! A ketogenic diet is a useful option for people with diabetes and hopefully, it can shed light into changing the way Americans view food. It’s exciting learning what the ketogenic diet and ketosis is good for, as there is a multitude of wellness and biohacking applications. Ranging from physical to mental, and performance based to therapeutic, ketosis provides a treasure trove of benefits that can enhance anyone’s life. 1. Sumithran, P., Prendergast, L. A., Delbridge, E., Purcell, K., Shulkes, A., Kriketos, A., & Proietto, J. (2013). Ketosis and appetite-mediating nutrients and hormones after weight loss. Eur J Clin Nutr, 67(7), 759-764. 2. Robert Krikorian, Marcelle D Shidler, Krista Dangelo, Sarah C Couch, Stephen C Benoit, and Deborah J Clegg. 3. Susan A. Masino, Ph.D. and David N. Ruskin, Ph.D.
4. Paoli A, Rubini A, Volek JS, Grimaldi KA. Beyond weight loss: a review of the therapeutic uses of very-low-carbohydrate (ketogenic) diets. European Journal of Clinical Nutrition. 2013;67(8):789-796. doi:10.1038/ejcn.2013.116. 5. Jong M Rho, MD and Michael A Rogawski, MD, PhD.